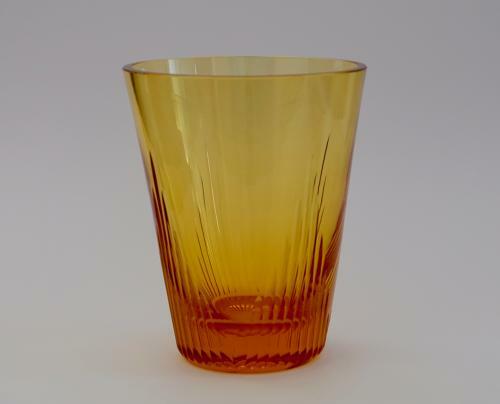 Cut vase in gold amber designed by William Wilson 1935. Collection: Brian Cargin and Chris Morley. Note: Illustrated in Whitefriars Glass 'The Art of James Powell & Sons' Edited by Lesley Jackson 1996. p.128, plate 124.